Dr. Higginbotham began practicing dentistry in 2002 with one of the largest general dentistry practices in the area. He opened his first ‘Higginbotham Family Dental’ practice in 2006 in Blytheville, Arkansas. Two years after, he opened the Southwest Drive location in Jonesboro, Arkansas. Since then, he has extended to several locations in Arkansas, Tennessee, and Missouri. His dental practices feature state-of-the-art technology, including digital radiography, intra-oral cameras, advanced cavity detection, and anxiety-free dentistry through conscious sedation. To serve our patients in a courteous, professional and kind manner, to let our patients know they are valued and to develop long-term relationships with our patients. To offer state-of-the-art care with minimum discomfort. To promote regular preventative care in our office and at home so our patients can enjoy a lifetime of good health. To have highly motivated employees, to provide an enjoyable, positive atmosphere for them to work in and to provide fair wages for their efforts. We are always looking for talented and skilled employees to work at HFD. If your interested in joining the HFD family, submit your resume below. We will keep your resume on file for 7 years. To apply for positions to begin a career at Higginbotham Family Dental please email your resume to desired Department Manager by clicking the link below or fill out an online application. 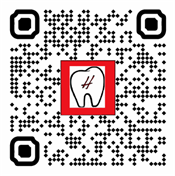 Use your camera on your phone to scan the QR code above or go to your app store to download our app.